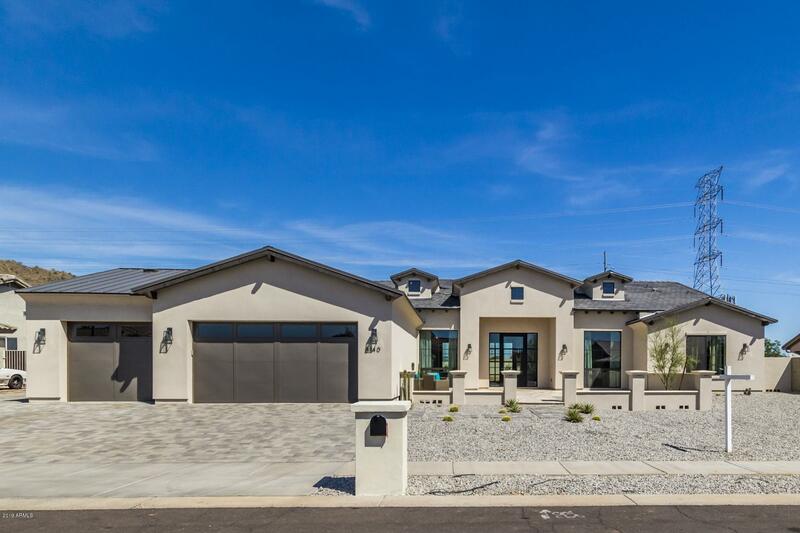 All CALLE LEJOS ESTATES homes currently listed for sale in Peoria as of 04/20/2019 are shown below. You can change the search criteria at any time by pressing the 'Change Search' button below. 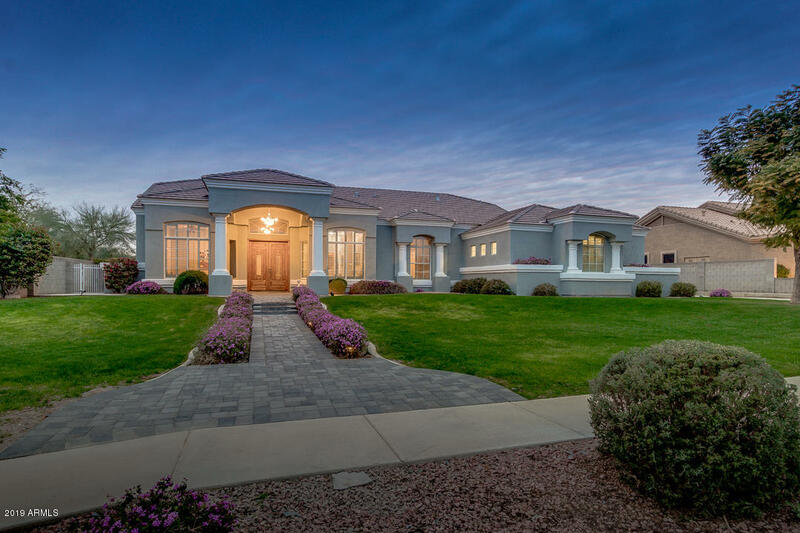 "Absolutely stunning Peoria custom home available in Calle Lejos Estates! Built in 2018, this exquisite home presents magnificent timeless features inside and out. You will love the enchanting travertine courtyard leading into a gorgeous formal entryway. Beyond, the spacious greatroom is sure to delight with soaring 12 ft ceilings, exposed beams, elegant light fixtures, European oak engineered wood floors, charming fireplace and extensive pocket doors leading to back yard. Designed for entertaini"
"Quality custom home in a premier location! Authentic curb appeal from the dynamic corner lot, grey-stoned paver walkway, elevated grand entrance, detailed pop-outs, custom grey paint to the stark-white pillars. Two homes in one with a 4 bd/2 ba/ 3,512 sf (w/ optional 5th bedroom) main house and a 2 bd/ 1 ba/ 1,249 sf fully-equipped guest HOUSE. Enter through the 8 ft solid-wood double doors to dramatic 12 ft ceilings throughout, floor to ceiling columns, pot shelves, wood-look tile floors and st"